During a health emergency, every second matters. Transporting patients safely with the upmost care is critical. Smart coordination, timely organization, state-of-the-art medical equipment and proven medical services are required to ensure the best outcomes. That is what the Greek Air Ambulance Network (GAAN) accomplishes every day. We offer our patients and partners the highest levels of acute adult, neonatal and pediatric care transport in Greece. As Greece’s public sector services experiences budget cuts, the GAAN plays a key role in Greece-based healthcare transport. Those in need turn to us for reliable service. We are an independent and private entity that consistently aims to provide the highest level of service in a cost-effective manner. The network employs top professionals in the health and aviation industries. Their breadth of knowledge and experience fulfills the demand for qualified bed-to-bed aero medical transportation that is needed by insurance organizations, medical centers and emergency patients. For the first time in Greece, the GAAN is bringing together the best healthcare organizations under one operational umbrella. This includes medical services, helicopter and plane ambulance services and ground ambulance. We have a team of on-call doctors providing medical examination services as well as a team of qualified health administrators available for medical document translation. All of our services are available 24/7. The GAAN is the repatriation service that people trust. We have trusted partnerships with commercial airplanes as well as medically equipped private jets that can handle the most complex repatriations. With more than 30 years of experience in the aviation industry in Greece, Air Business International is proud to be behind the GAAN. 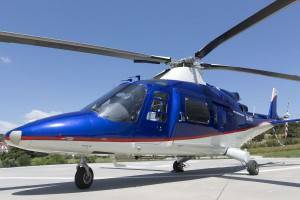 We continue to build GAAN’s reputation as a reliable and complete aero medical service network that works with partners who have a proven history of providing the highest levels of acute adult, neonatal and pediatric care available on a global basis. Our future is bright and we are committed to investing in our people, aircraft and medical equipment to be a leader in emergency health services in Greece going forward. 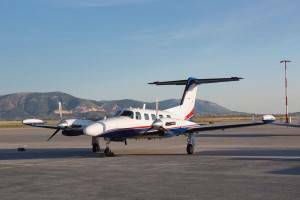 Greek Air Ambulance Network can organize the transportation of patients with ground ambulances to and from the airport or by road all over Greece.